BRAGGING RIGHTS is an hour-long video documentary that chronicles the vibrant history of the urban game of stickball through its colorful players. 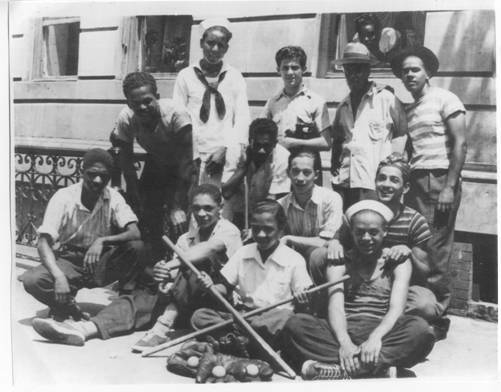 Stickball has been played in the streets of New York City since the early 1920’s and is known as “the poor man’s baseball.” Stickball is the ultimate in improvising much with very little. Up until the 1960’s, hydrants, cars and sometimes old men sunning in chairs were bases. During that time, many ethnic communities that would fight each other any other day of the week, would compete on the stickball field on Sundays. Over time, racial barriers were broken and many of the players became lifelong friends. Through the persistence and the passion of a tight-knit community brought together by tradition, the documentary chronicles what has become a national game of all family members. BRAGGING RIGHTS underscores the struggle to overcome and embrace difference and triumph over adversity.